Got info on class stating tomorrow….. Is a book needed? Available? Hi Ken! 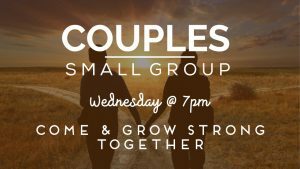 The Couples group will start October 5th! And there has not been a study or book that is being used yet.